On May 18, 2018, Standard and Poor’s (S&P) Global Ratings lowered Kentucky’s issuer credit rating one notch from A+ to A, and lowered the Commonwealth’s appropriation-backed obligations to A- from A, which affects lease debt issued by the State Property and Building Commission. Additional downgrades include Kentucky’s state aid intercept programs for universities and public schools, revised to A- from A, and lease debt backed by the Administration Office of the Courts, revised from A- to BBB+. The ratings remain investment grade, and S&P’s outlook is now stable. The downgrades were anticipated, as S&P had previously had a negative outlook for the state. Reasons cited for the downgrades were fiscal stress due to years of uneven budgetary management, weakened reserves, income levels below the national average and ongoing pension funding issues. Moody’s Investors Service downgraded Kentucky’s issuer rating in July of 2017 to Aa3 from Aa2. 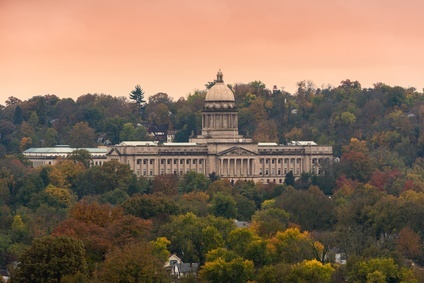 Moody’s also lowered other Kentucky government entities last July, including Kentucky’s general fund appropriation lease revenue bonds to A1 from Aa3, Kentucky’s agency fund appropriation lease-revenue bonds to A2 from A1, the Kentucky Public University Intercept Program to A1 from Aa3, the Kentucky School District Enhancement Program to A1 from Aa3, and the Kentucky Turnpike Authority to Aa3 from Aa2. Moody’s outlook is also stable. Kentucky’s economy has been improving and employment continues to strengthen. If the expected manufacturing expansions by Amazon, Ford and Toyota come to fruition, we believe that some credit ratings may see a reversal over the next couple of years. Kentucky’s general fund revenue grew in the first quarter of 2018 by 5.3%, and the state should be in good shape to meet the balanced budget requirement for the current fiscal year ending in June. Recent economic highlights for the current fiscal year include sales and use tax revenue growth of 3.5%, an increase in the corporate income tax revenue of 5.1%, individual income taxes receipts increasing by 5.2%, and property tax revenue increasing by 3.7%. Governor Bevin recently signed a much debated pension reform bill, that we believe is a good first step in healing one of the worst funded pension systems in the country. Among other measures, the new law will raise city, county and university contributions, which will be phased in over several years so that employers have time to plan for the increased funding. The portfolio managers and credit analysts of Aquila Churchill Tax-Free Fund of Kentucky will continue to monitor all credits in the portfolio. The impact we see to the portfolio at this time is a downward shift in the quality breakdown directly related to S&P’s recent downgrades. For the most recent quarter-end performance, holdings and manager commentary please see the Fund page on this web site. It is important to note that the Fund does not own any Pike County general obligation bonds that were downgraded by S&P on May 21, 2018 from A+ to BB.